Foreword by John Gierach. Taking trout on lightweight rods with flies as small as size 20 and 30 is a challenge. Learn to imitate midges’ trailing shucks and drowned adults, tie tiny parachutes and white-winged Tricos, and create patterns that mimic microcaddis and micro scuds. Engle covers small-fly history, tying tools, and materials. 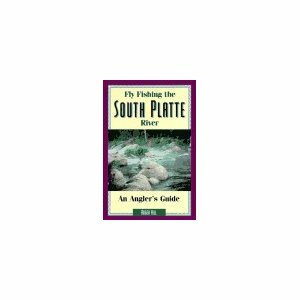 Tips on fishing techniques come from Ed Engle’s 30 years of experience fishing small flies on the South Platte River. 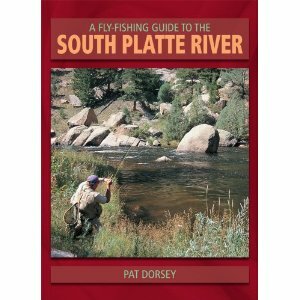 by Pat Dorsey is a complete how-to fly-fishing manual for the entire South Platte River drainage. This book represents decades of experience from the top guide on this demanding river, and encompasses a thorough look at each section of the river. In addition Pat gives details on the hatches and recommends fly patters for each season of the year. There are 160 plus color photographs and 30 illustrations that support the text. FLY FISHING THE SOUTH PLATTE RIVER by Roger Hill. Now out-of-print, but this was the original book on the South Platte River. Roger Hill’s version of the RS2 was the original copy of Rim Chung’s RS2 and was the version typically found among Front Range fly shops for most of the last 30 years. 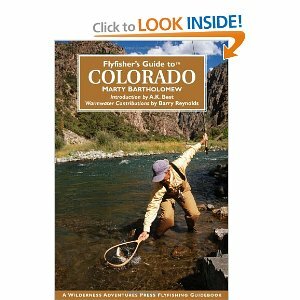 The Flyfisher’s Guide to Colorado published April 28, 2008, by Marty Bartholomew covers all of the rivers and lakes of this great fishing state. Marty covers each river in detail with how to fish the water, the best times, a list of go-to flies, hatch charts, and the best times to fish each water. All of the major waters are covered including South Platte, Cache la Poudre, Arkansas, Big Thompson, Rio Grande, Gunnison, Taylor, East Uncompahgre, Dolores, San Miguel, Los Pinos, Piedra, San Juan, Colorado, Fraser, Blue, Eagle, Roaring Fork, Frying Pan, Yampa, White, North Platte, Laramie, and many others. He also covers the creeks: St.Vrain, Muddy, Gore, Clear Fork and many more. Marty also covers the lakes and reservoirs including Steamboat, Lake John, Horse Tooth, Pueblo, Grand Mesa Lakes, and many more. There is travel information for all of the destinations, with a listing of fly shops, sporting good stores, accommodations, restaurants, campgrounds, car repair, airports and more. 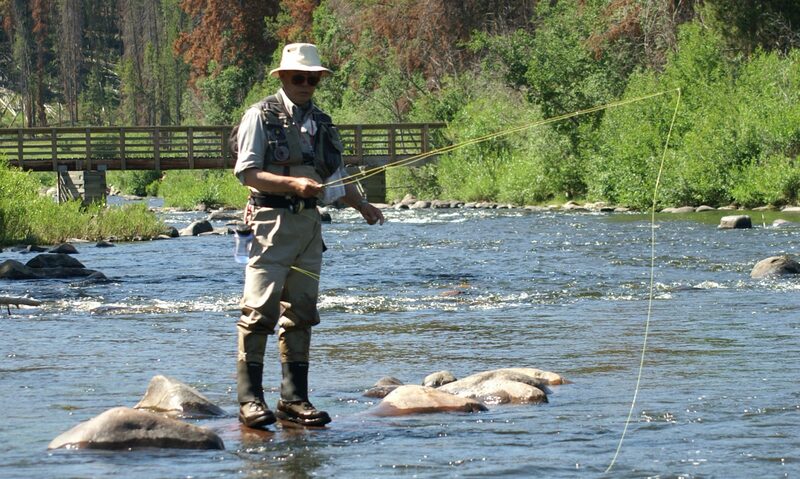 Marty lists his top ten flies for fishing Colorado. There are 87 detailed river and lake maps showing access, boat ramps, river miles, campsites, roads, and public lands. Aside from the Brassie, the most important contribution to the fly boxes of American anglers to come from South Platte lore is the RS-2 —an all-purpose nymph pattern that, depending on size, can resemble the aquatic stages of a midge, a mayfly, or even a caddis. RS-2 stands for “Rim’s Semblance, Style 2.” It was born in the tying vice of Rim Chung of Denver, a self-taught fly fisherman who began as a frustrated spin-fisherman. When Chung came to Colorado from Seoul, South Korea, in 1968, he had a strong desire to catch Colorado trout but only the weakest clues on how to go about it. He began to fish with spinning tackle but rarely caught anything when he encountered the selective trout of the Platte and other waters. Two years later, he was ready to give up. Then a friend suggested he take up fly-fishing. “What the hell is fly-fishing?” Chung asked his friend. Chung then began to fish with dry flies, but it was still frustratingly unproductive or, at best, inconsistent. Finally he met someone who offered to take him nymph fishing. “What the hell is nymph fishing?” Chung asked. His progression to becoming a successful trout fisherman was fairly swift after that. 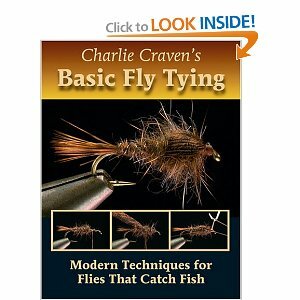 Chung developed his nymphing skills and learned to tie flies. He decided to try to develop a nymph pattern that was a general suggestion—a semblance—of almost any hatching aquatic insect, depending on size. What emerged was a pattern that is constructed with a Tiemco 101 hook that has a straight eye, in sizes as big as 14 and as small as 24. Two strands of microfibers or beaver guard hairs constitute a widely split tail. The body, or abdomen, is slenderly dubbed beaver fur, either natural gray, or dyed black, olive, or some other color. A thicker thorax section is also dubbed beaver fur. The almost directly upright short wing is tied between the thorax and the abdomen on the top side and consists of a clump of gray, webbed saddle hackle fibers, or CDC material, trimmed with scissors into a triangular shape. Today, the fame of the RS-2 has spread far beyond the South Platte, but it stands as testimony to the ingenuity of the anglers who honed their skills on its challenging currents. 2008, Streamside Press, Lyons, Colorado. These are the stories of 34 fly tyers in over 300 pages, perhaps the greatest in the world, including legendary anglers, professional tyers, fly-fishing guides, and writers. 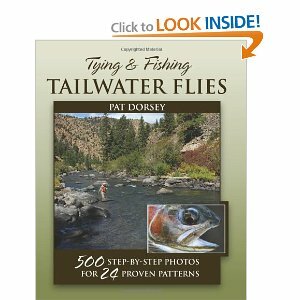 The book focuses on the featured tyers, but it also details, with recipes and color photos, 68 of their favorite fly patterns. 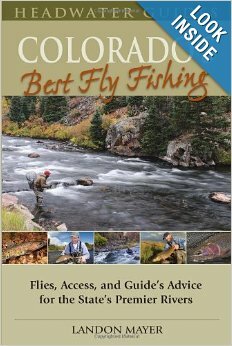 Colorado Trout Flies presents a unique and invaluable reference from veteran fly-fishing guide, Todd Hosman who lives near Longmont, Colorado. 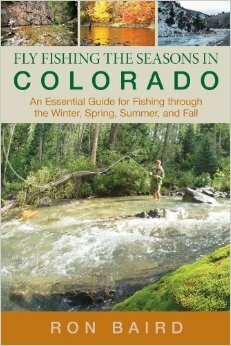 He is also the author of Fly Fishing Rocky Mountain National Park and Fly Fishing Colorado’s Front Range. Rim Chung is featured in the book, as is his RS2 and Plebby. 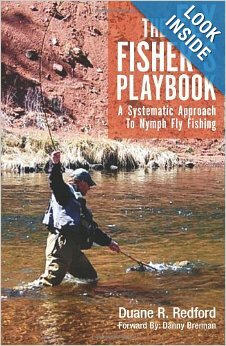 Originally priced at $69.95, but now available for a lot less, this book is a must have for any serious fly tier or fly fisherman. The book made me realize how many of my fly fishing friends and acquaintances are truly famous or those that should be, including Mary Bartholowmew, A.K. Best, John Betts, Jim Cannon, Rim Chung, Charlie Craven, Pat Dorsey, Ed Engle, John Gierach, Ken Iwasama, Shane Stalcup, Rick Takahashi, Gordon Wickstrom, and Coloradoans Mike Bilo, Mike Bostwick, Barry Conyers, Gary Dewey, John Hagen, and a host of my other fishing friends and fly tiers made along the sporting road. Master fundamental tying techniques in a series of practical lessons Charlie Craven’s Basic Fly Tying is a modern course in fly-tying fundamentals covering the essential tools, materials, and techniques needed to tie a wide range of popular flies. With 1,000 photos, Craven covers cutting-edge techniques for the more tried-and-true classics, such as the Royal Wulff, Adams, and Hare’s Ear, and shares innovative approaches to current patterns such as the Brassie, RS2, and Copper John. “An all-around fly, the RS-2 comes in a variety of colors, and can represent the emerging forms of both midges and blue-winged olives, depending on the color. Not a few anglers have said if they could only use one fly, it would be an RS-2. 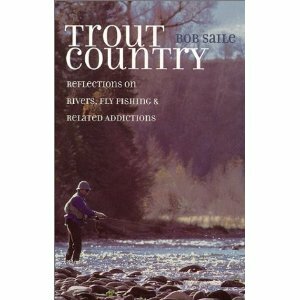 Fly Fishing Guide to the Colorado River and Tributaries, by Bob Dye is a great book covering the Colorado River and tributaries. 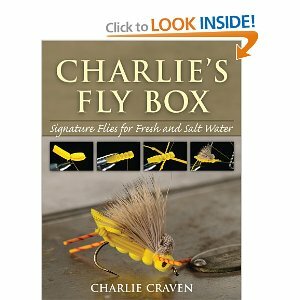 It has quite a few pages recommending the RS2 fly and various adaptations of it.